HOLD UP Kdrama Fanatics! Feast your eyes! I have watched this Kdrama (2012) once (just yet) but I waited patiently for every episode. Talk about waiting for uploads from our fellow Korean Drama addicts every after it was being aired in Korea. It's worth the sleepless nights and worth the stress of waiting for it to buff in YouTube or Daily Motion. I am talking about the To The Beautiful You. To The Beautiful You is Korea's adaptation to Japan's Hanazakari no Kimitachi e and Taiwan's Hana Kim. 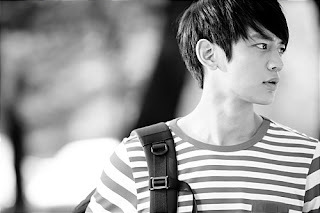 It stars two of Etude House's beloved endorsers, Sulli and Minho. I never thought there would be a connection with the two artists since they both excel in their own fields as singers of famous Korean singing groups. 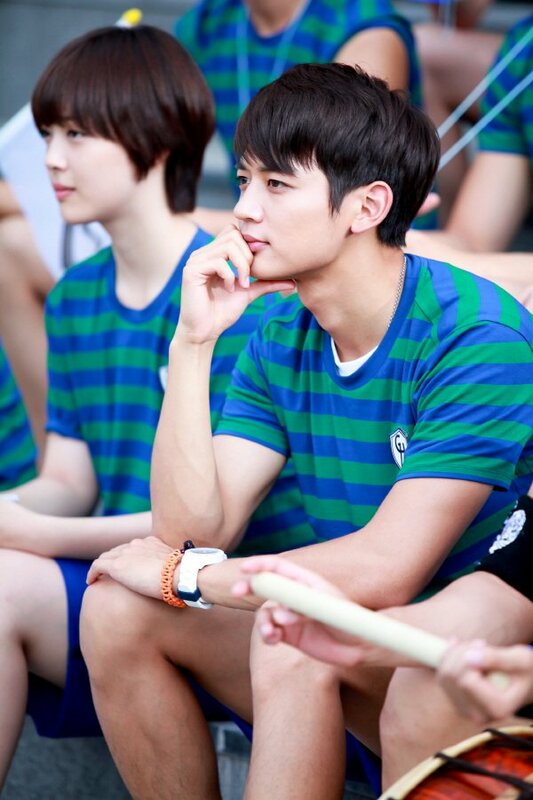 Sulli from f(x) while Minho is from Shinee. To begin with, To The Beautiful You is predictable as expected. Of course, it's a remake, what can we expect. But just being honest, it still gives me this kind of excitement. I still see to it that I don't miss any of its episode. Minho and Sulli has this connection that thrills the teenage soul in me. The characters played by these famous artists are perfect for them. Choi Minho has an image of being so prim and proper, so he's perfect to be Kang Tae-Joon, strict, straightforward but at the same time, charming. Sulli on the other hand played Gu Jae-Hee, bubbly, friendly, cute and always wear a smile on her face. Cha Eun-Gyeol then was the clown in the series, I love his character! We all do, I know! Kang Tae-Joon is a famous high jump athlete in Korea but he was caught in an accident that made him stop his sport. Gu Jae-Hee on the other hand is a fan girl from America who was inspired by Tae-Joon to become better and to excel. As a fan, she really wanted to see Tae-Joon jump again. She always believe that Kang Tae-Joon can do it again because he has this dreams and the willpower. She flew to Korea and did what she had planned but since Tae-Joon is enrolled in an all-boys school, Jae-Hee pretended to be a boy. Lucky for Jae-Hee, she got in the school and was able to share the dorm with Tae-Joon, his inspiration. There, the story of To The Beautiful You began. 2. The To The Beautiful You OST were awesome. Of course, both of them were from SM Entertainment so we will expect nothing but the finest music. Bias. Hihi. My favorite goes to Sunny and Luna for It's Me and I guess, ALL. The music played in the episodes just perfectly match, ahh. Music to my ears! 4. All the cast did a great job for the drama. It's light, it's for the teens and teens at heart. You will enjoy the scenes and smile a lot throughout. For those who think twice in giving this drama a look, don't. You may not LOVE it but for sure, you will LIKE it. Isn't it relaxing to watch some dramas that doesn't make your eyes popped because of too much tears? :) Honestly, while I am writing this review, I am also listening to the OST, it makes me want to watch it AGAIIIN. Nostalgia. Have you watched To The Beautiful You already? Tell us what you think!! It's very nice to see you guys together.. cute pair..